Punam Yadav sustained multiple injuries after she tried to intervene in a fight over a long-standing land dispute between her uncle and his neighbours in Varanasi, Uttar Pradesh. Punam tried to intervene to separate both groups but in this bid she also suffered some injuries in stone pelting, claimed her sister Shashi Yadav. 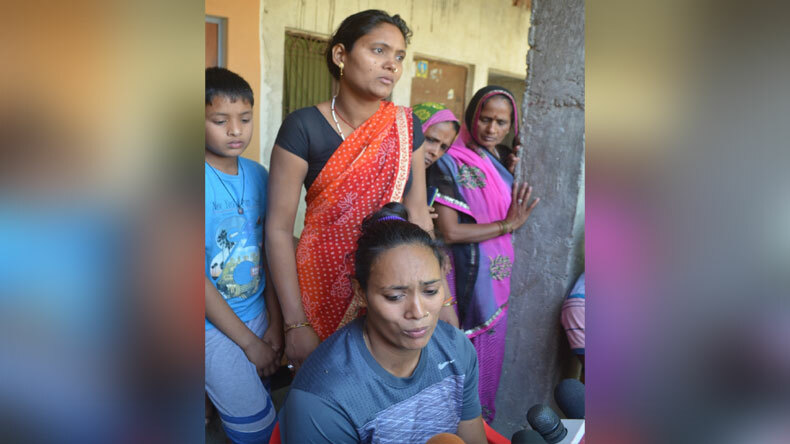 Commonwealth Games gold-medallist Punam Yadav was allegedly attacked on Friday in Dandupur village, Varanasi while trying to intervene between two fighting groups. The two fighting groups were her relatives and their neighbours, who got into an altercation over a long-standing land dispute. The Indian wrestler sustained injuries after she got caught in the middle of stone-pelting between the two clashing groups. The incident has been reported to police and an investigation in the matter is currently underway. According to reports, Punam Yadav returned to her village on Friday amid much frenzy after her incredible exploits in Gold Coast, Australia. During her visit to her uncle Kailash Yadav in Mungwar village in Rohania area on Saturday, she came to know about the tensions between his family and his neighbours. Her uncle also revealed that just a couple of days ago, the two families had clashed over the land dispute. Punam, who had visited her uncle with other family members and supporters, caught in the middle of the tussle. Upon her arrival in the village, the rumour spread that Kailash had called Punam and several other people to attack Kailash’s neighbours – Lullur Yadav and Pullur Yadav. The neighbours got outraged after hearing the rumour, they got into an altercation with Kailash and his family members which later turned into a full-scale fight. Both the groups started pelting stones at each other and it was then that Punam Yadav jumped in and tried to stop the fight. While trying to calm down the two fighting groups, Punam Yadav was hit by a couple of stones and got injured. Rohania police station cops reached the site of the incident immediately and contained the situation. The SP (rural) Amit Kumar said that police were investigating the matter and no guilty person would be spared in this episode.